Land owners and occupiers of land have a legal duty to maintain their property in a reasonably safe manner so that individuals are able to visit and conduct business without unreasonable risk. When a hazardous condition exists, and an injury occurs as a result, you may be entitled to monetary compensation for your injuries. Personal Injury Attorney Charles Spinner, Jr. is an experienced premise liability lawyer helping victims of slip and fall accidents recover money damages for their injuries. Over the years, Mr. Spinner and Spinner Law Firm have collected thousands of dollars for our slip and fall clients. If you have fallen and been injured on someone else’s property, you should report your accident to the property owner as soon as possible. Gather as much evidence as possible, including the names and contact information of all witnesses. Take photos of the location where you were injured. Seek medical treatment right away and follow your Doctor’s plan of treatment. Lastly, contact an experienced personal injury lawyer. Keep copies of all of your medical bills, and records of your time missed from work. It is sometimes helpful to keep a diary to record your thoughts about your medical treatment or the pain and suffering caused by your injuries. Stained, soiled and torn clothing and shoes worn at the time of the fall are important evidence, too. They should be set aside and not washed or worn anymore. Try to obtain a copy of any incident report written by the business where you fell. Doing these things will help our office prepare your case. 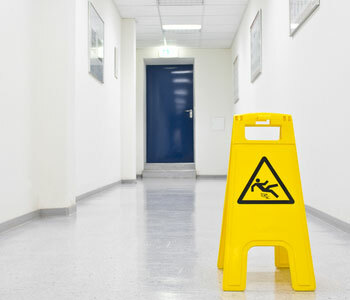 If you were injured in a slip and fall accident, you may be entitled to monetary compensation for our injuries. Spinner Law Firm, Charles Spinner, Jr., Wesley Chapel Florida Personal Injury Attorney is standing by to take your call 24 hours a day, seven days a week. We offer a free, face to face, comprehensive consultation to evaluate your case, carefully explain your legal rights, and answer your questions and concerns. We are standing by 24/7 to take help. Fill out our free online case review form or call now for help 813-991-5099.